Gregg Lee was born and raised in Old Hickory, Tennessee; a suburb of Nashville. 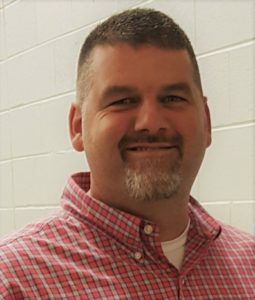 He is a 1990 graduate of Goodpasture Christian School and a 1994 graduate of Freed-Hardeman University where he received a Bachelor’s of Business Administration degree. He also received a Master’s in Education in 2003 and completed his Education Specialist degree from Middle Tennessee State University in 2017. Gregg worked for Freed-Hardeman University for 12 years in the areas of admissions, athletics and academics. He moved to Waynesboro in 2005 and began teaching in the Wayne County school system. He is currently teaching at the Wayne County Technology Center. Gregg began preaching in 2003 filling in for various congregations around Henderson and Waynesboro. He began working with the Collinwood Church of Christ (Collinwood, TN) in August of 2006 where he served as their pulpit minister for six years. In 2012 Gregg began his work with the Waynesboro Church of Christ (Waynesboro, TN). He and his wife Amy (Coggins) have three beautiful daughters: Sadie, Annie, and Maggie.